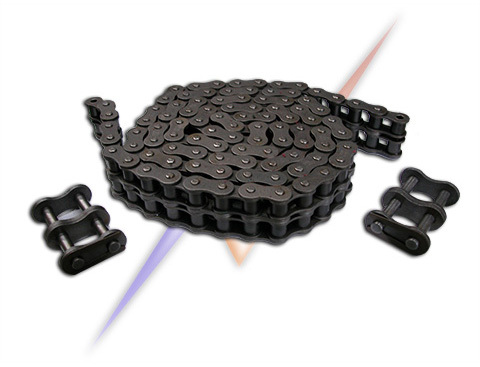 High quality precision roller chain to BS and ASA standard available in economical 3 Metre (10ft) boxes. Attachments, stainless steel and other options are available in all simplex, duplex and triplex sizes. We supply conn (joiner) links and crank (half) links are also available in singles or bulk orders.